Here, where the sea shines, we are waiting for you! 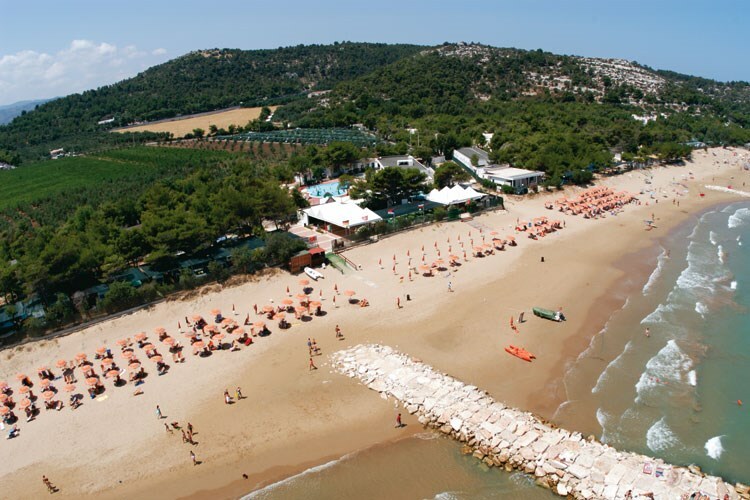 A tongue of fine golden sand, and the crystalline Gargano's sea are the perfect setting for your holiday in Vieste. The Santa Maria di Merino Bay, enclosed between a Saracen tower, and the island of Chianca, with its typical Trabucco, is the ideal place for morning runs and unforgettable walks on the water's edge. Here the bathing is perfect even for the children, in fact the sea slopes slowly allowing games and baths with no worries. Do you travel with a dog? 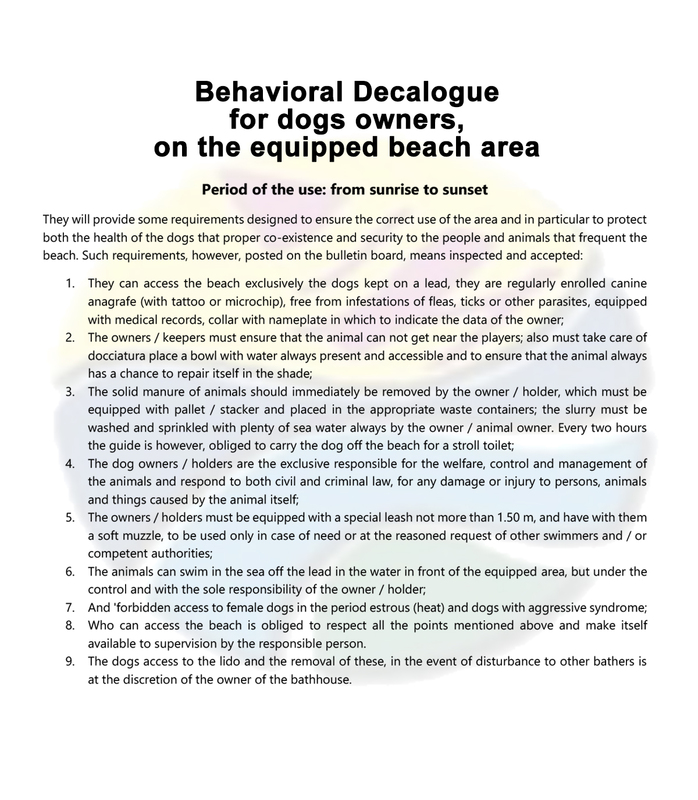 On our equipped beach dogs are welcome, but read carefully the behavioral decalogue to spend good days on the beach and in respect of the other guests. 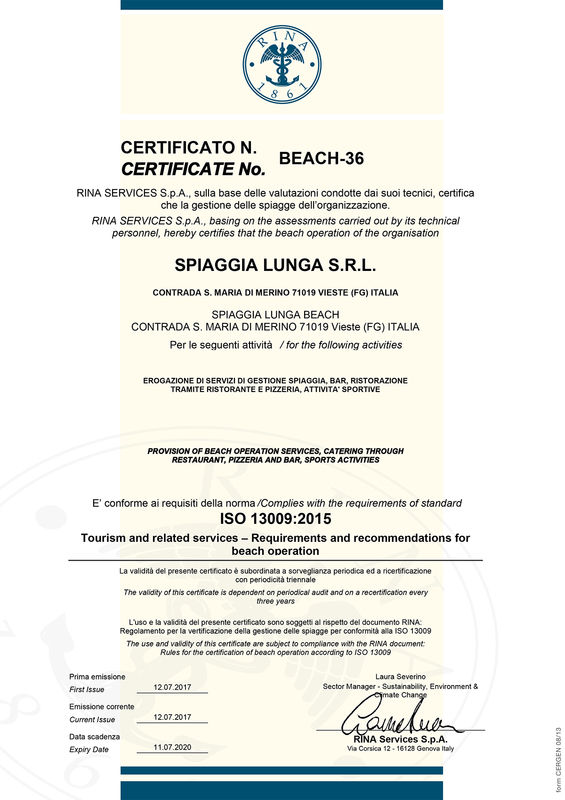 To guarantee you a safe bathing, our beach has passed the ISO 13009 certification standards, that is attested the sustainable management of the beach and the respect of the quality requirements of the service and its facilities. At our Village you can relax under the sun choosing to take advantage of the beach service equipped with umbrellas, deck chairs and sun beds, or you can compete in friendly sporting challenges on the beach volleyball court, or get involved in games and sports activities proposed by the weekly program of our animation team. 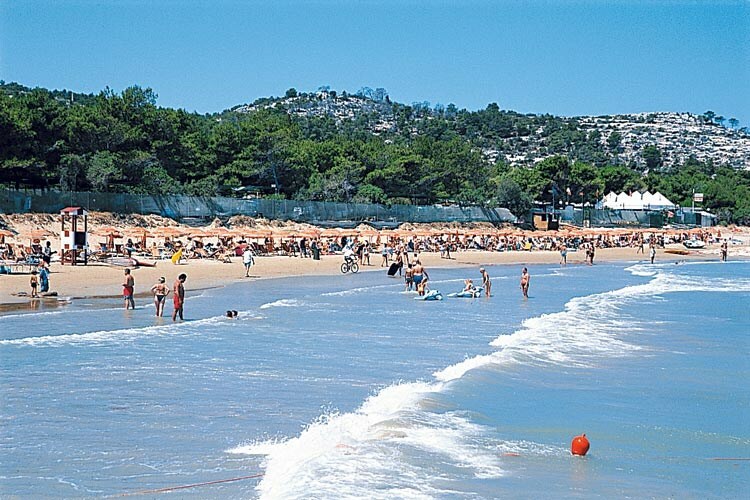 In addition, the favorable exposure to winds makes the Santa Maria di Merino Bay in Vieste the perfect place to practice water sports. 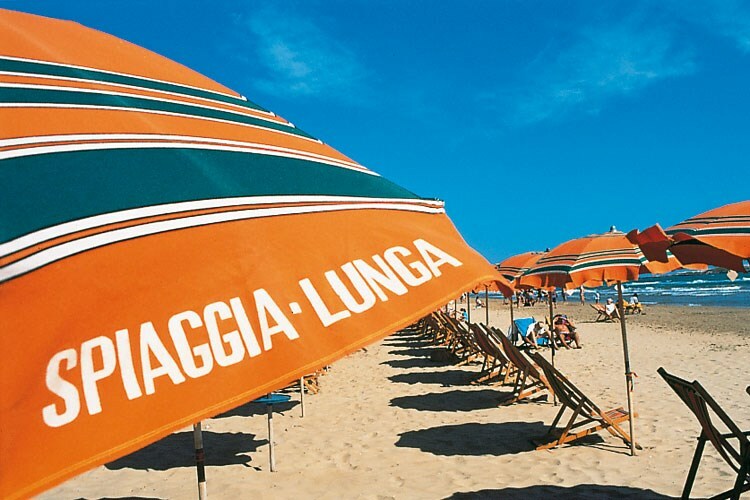 Among our extra paid services, we have courses held by the Freesurf Vieste school, a point of reference for those wishing to start or improve, in the disciplines of windsurfing, kitesurfing, S.U.P., surfing and catamaran. 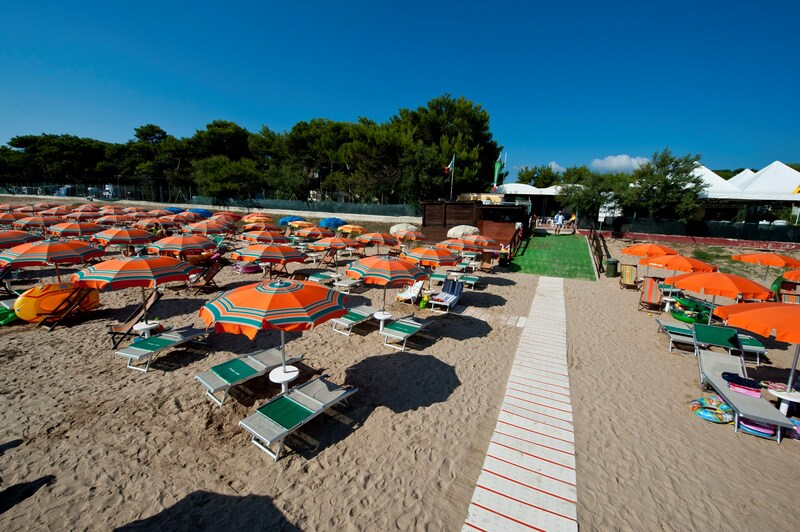 Facing directly onto our magnificent beach, the patisserie Zucchero Velato is the ideal place to start the day cradled by the gentle sound of the waves, while the gourmet restaurant Panini di Mare is the perfect location for a sunset aperitif, a lunch based on fish or a healthy and tasty snack prepared with top quality ingredients by our chef Mario Ottaviano.